Our recreational gymnastic programs follow the ‘four f’s of Gymnastics For All learning philosophy’ – Fun, Fitness, Fundamentals and Friendship. Each program within the recreational framework offers a wide range of safe and enjoyable activities, which challenge participants relative to their abilities and stage of development. The programs focus on developing co-ordination, balance, functional body strength, flexibility as well as self-esteem and confidence in movement. It is also recognised that gymnastics promotes ‘playground safety’ and is a basis of all sports. LaunchPad programs have been developed by Gymnastics Australia and are all about teaching children the fundamental movement skills they need to lead an active and healthy life full of sport and recreation. The activities in LaunchPad have been created for children from 0 – 12 years old and are designed to give children the opportunity to practice, develop and enjoy moving through a wide-range of activities. Many of the games and activities in LaunchPad programs are based on what fundamental gymnastics coaches around the world have been delivering for years. Importantly, research tells us that children who have these fundamental skills are far more likely to participate in sport and recreation throughout life. The LaunchPad initiative involves three developmental stage appropriate, programs – KinderGym, GymFun and Gym Skills. The GymFun and GymSkills program will see classes broken down into three steps within each program. Children that are in the school grades of prep, one and two will start in GymFun Bronze. Gymnasts will be required to demonstrate competency in a set skills list prior to progressing onto GymFun Silver and then Gold. GymFun Gold is equivalent to level 1 of the Australian Levels Program (ALP). Following GymFun Gold gymnasts will progress onto GymSkills Silver and then Gold, which is equivalent to level 2 of the Australian Levels Program (ALP). Children that are in the school grades three and above will start at GymSkills Bronze and progress onto GymSkills Silver and Gold. The skills lists are the same for both GymFun Gold and GymSkills Bronze. This ensures older children starting gymnastics master the foundation skills, while at the same time allows them to participate with members of a similar age.  GymSports FNQ @ South Cairns Gymnastics is committed to providing appropriate pathways, to allow our female gymnasts, irrespective of their ability and external limitations to develop to their full potential. The GymSports Levels program has been introduced by GymSports FNQ to allow gymnasts within the club to take part in the Australian Levels Program (ALP). ALP is a stream developed and governed by Gymnastics Australia, which is designed for participants to progress and be graded against a national benchmark. The program; starting at Level 2, will focus on teaching the technical aspects of skill development, encourage correct posture, build strength & flexibility, while keeping the emphasis on FUN. The GymSports Levels program allows gymnasts to progress through the levels system at their own pace without the commitment of the full competitive program training hours or competition requirements. Formal grading at a competition is not compulsory with this program, however is an option.